Musical Pipe Dream: I’m singing lead on a big and bright stage. 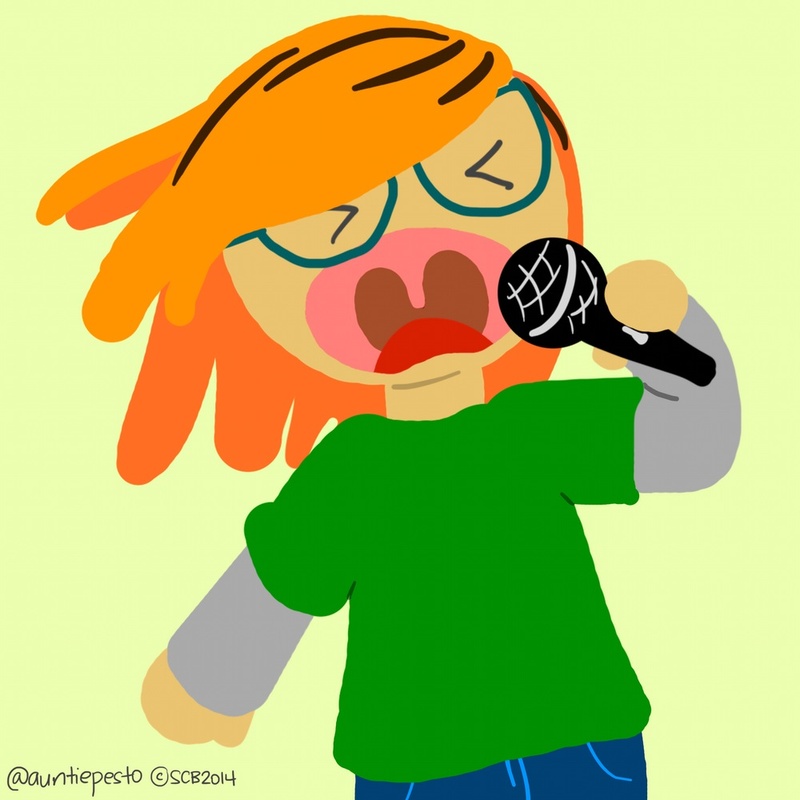 In between stanzas, I hold the microphone close to my body with my other arm tucked in and bang my head forward and backward. Blurb 1/365: One day, I think I’ll have enough courage to completely bust it out on the microphone, but I haven’t gotten there yet. I think the big step will be belting out my voice rather than going in between humming like a mouse and just talking loudly to a beat when I try to sing in front of people. If this ever happens, I hope it will be epic.